Description This is a view of what would soon become the back wall of the gymnasium (Alumni Hall) looking south. 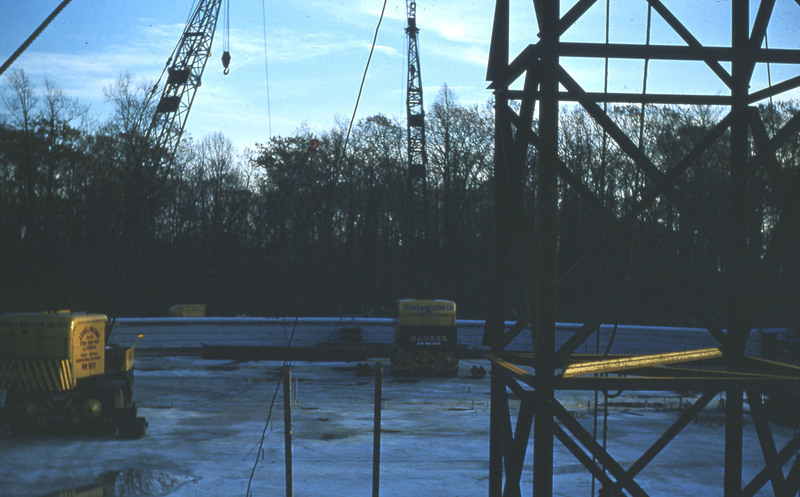 Through the scaffolding at dusk are visible two yellow cranes from the Leake & Nelson Co. Inc., a large steel fabrication and erection company. The School of Nursing would later be built in 1977 on the far right, and deep in the trees on the right the Nyselius Library would be constructed in 1968.